Let’s Chat! Author Lucy Thompson! Welcome, Everyone! And Welcome, Lucy Thompson! 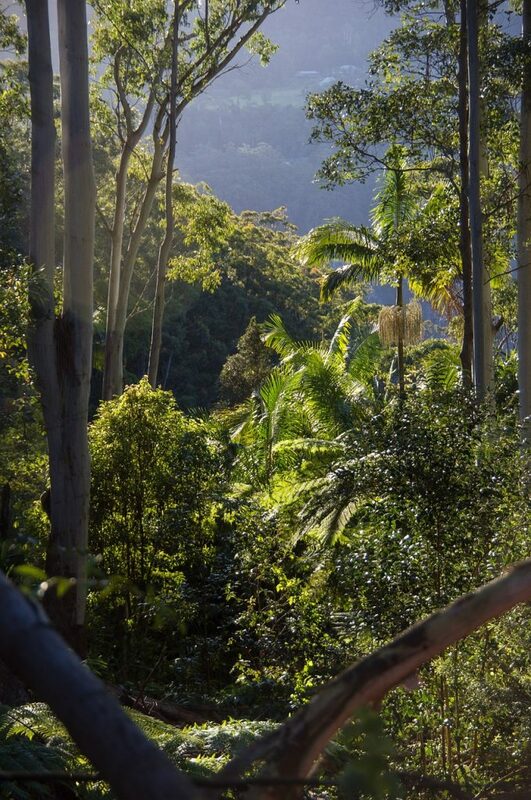 This week we’re traveling “down under” to Australia to visit with historical romance author Lucy Thompson. What a treat’s in store for you! Lucy is offering a give-away, so be sure to read to the bottom to learn what it is. 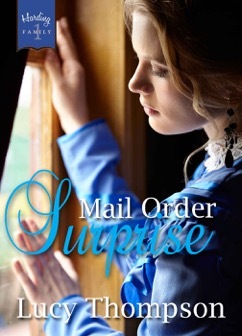 Congratulations to Penny Richards, winner of her choice of one of Lucy’s novels, Cowboy’s Dare or Mail Order Surprise! All Penny did was comment, and her name was drawn. 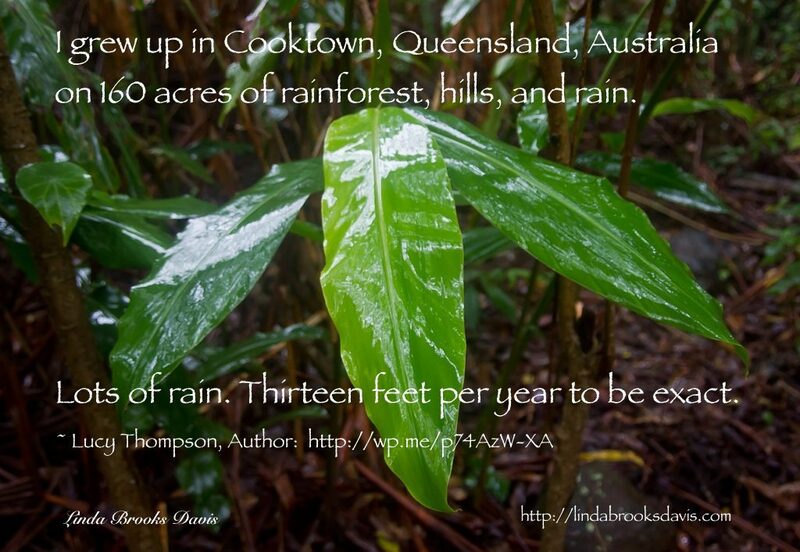 I grew up in Cooktown, Queensland, Australia on 160 acres of rainforest, hills, and rain. (Click to Tweet!) Lots of rain. Thirteen feet per year to be exact. Part of why I love historical romance is that I’m familiar with a pioneer lifestyle. We had no electricity (apart from the generator at night), cooked on a woodstove, and raised our own animals for food. I didn’t make the wisest of choices through my teen years and ended up in an unhealthy relationship. By age twenty-four I was a single mum of 4 children aged between 6 months and 6 years. I’d just started down a windy track to learning about self-worth, God’s extravagant love, and who I was as a person. At age twenty-six, I decided one day after church that I was going to write a book. (As you do. Lol) All I knew about the story was that a young mail order bride was getting off a train. Didn’t know her name. Or where she was. 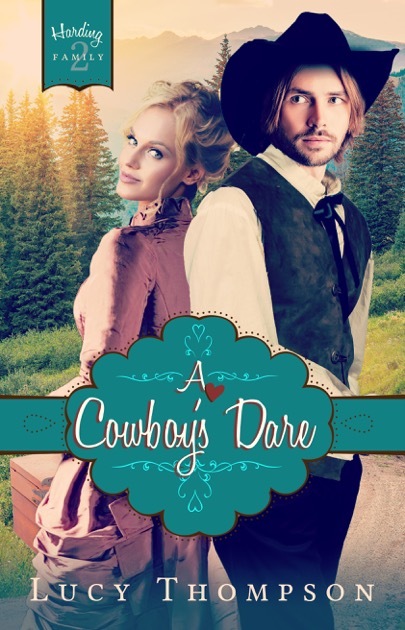 Or that she was about to meet a handsome cowboy who may or may not be a cattle rustler. That he had three siblings (that he didn’t tell her about) and a house in a mess. Writing the book was half the effort. How was I to put it in the hands of readers? After all, I’m an Australian. A very small fish in our Aussie Christian book market. The American book pond, ah, market with its much bigger fish is harder again to break into. 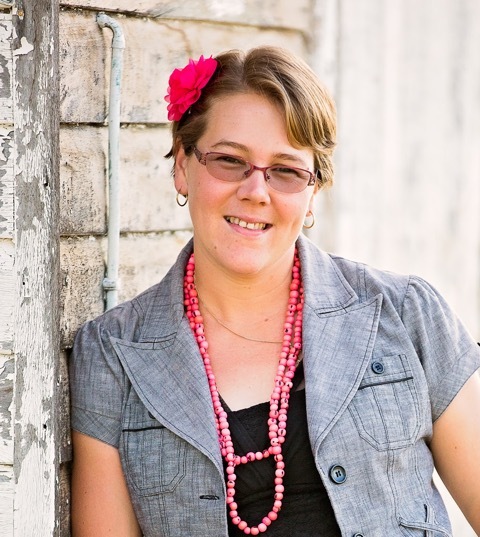 So I joined American Christian Fiction Writers (ACFW). I joined their critique group and met my wonderful crit partners there. Entered contests. Finalled in some. Flew to America for the 2012 ACFW conference and met my (now) agent, Chip MacGregor, of MacGregor Literary. He pitched my book to all the bigger publishers and all came back with a no, no, no. Sigh. Then, after a break from writing in which we moved across country, I remarried, had a baby, baked lots of cookies, etc. My agent suggested we pitch my story to Forget Me Not Romances. He introduced me to Cynthia Hickey, who runs FMNR and she loved my books. ☺ Yay!! When Mail Order Surprise released on Amazon there was an excited buzz amongst my friends on Facebook and on the internet. I found it quite amusing as I sat cross-legged in my pj’s on the sofa posting away on Facebook that more people had seen my FB author post and were interacting with me than the entire population of my small country town. But God is like that. He likes to bless us. (Click to Tweet!) And bless he did. Reviews. Comments. Shares. Memes! A reader even made a meme with a quote from my book. *sniffles* My heart overflowed with gratitude for his goodness. The song “Blessed Be Your Name” by Matt Redman has been a huge encouragement to me over the years. May I suggest you try the same? God has everything under control and he’s much bigger than our circumstances or what we give him credit for. Readers, you can find Lucy on Facebook! I love Lucy’s story, but then, I’ve known for a long while what kind of woman she is from her Facebook posts. I’m not sure how we became FB friends, but I cherish that friendship. Definitely will be getting the book and sharing this interview. So wonderful to scoot over to make room for you in our chat circle, Penny. You’ve encouraged Lucy and me both. God bless you. Thank you for your kind words, Penny. I appreciate your friendship and am blessed because of it. 🙂 God bless! life around is so encouraging. It is good to be reminded that nothing is too hard for God. Yes, blessed be His name! Blessings to you as well! Our circle is growing! So good to see you in it, Bonnie. You’ve encouraged Lucy and me! What a wonderful interview. The book sounds really good. Hi, Ann. Thanks so much for joining our circle. You’ve encouraged Lucy and me both. Try out the first chapter on Amazon. 😉 In the meantime, all the best with your entry. 🙂 God bless. Nice to see a fellow Aussie writer here. Loved Lucy’s honesty and matter of fact way of writing. How wonderful to see another Aussie in our chat circle, Susan. I agree that Lucy’s transparency is refreshing. I knew readers would love her. Please join our chats with other writers too. No worries, Susan! 🙂 Great to have you here. Thanks for joining our circle of reader friends, Brenda. One of my favorite things is meeting these authors on this blog. Please come again! It’s always nice to meet a new author here on Linda’s blog. Lucy, your books sounds like delightful read. Thank you for the giveaway. A reader will be blessed. Hi, Marilyn. So good to see you in our circle again. God be with you! What a delightful new author. It was great to begin to get acquainted. I would love to read your book. Thanks for the chance to win a copy. Blessings on you as you continue to write. You currently have a 1 in 3 chance of winning. 😉 Thanks for popping in. Hi, Evangeline. So good to see you here in our circle. It’s amazing, isn’t it, that we’re getting to know another author from “down under”? I love getting to know all these authors. Great to see you here, Evangeline. You’ve encouraged me and Lucy both. Love to hear how God’s changed your life and blessed you, Lucy! Keep writing! How wonderful to learn about you, Lucy! 🙂 Thank you for being here and sharing your writing journey. Isn’t Lucy a love, Melissa? Thanks so much for joining the conversation.